‘The world would be a nicer place if everyone had the ability to love as unconditionally as a dog.’ Quote by M K Clinton. Dogs have always been welcome in the garden on a lead here at The Cadogan. 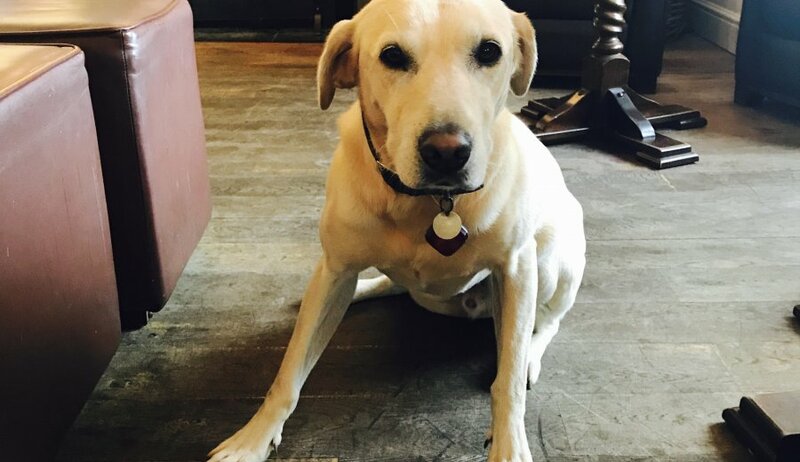 We’re pleased to announce that we are now canine friendly inside too. If your dog is well behaved then we’re happy for you to have him (or her) on a lead in the lounge or in the garden dining room. We do ask that you keep your dog out of the way as we hope you appreciate that dogs are not everyone’s cup of tea.